Home Entertainment Celebrities Fawad Khan NOT Removed From ‘Ae Dil Hai Mushkil’ Movie! As Ae Dil Hai Mushkil inches closer to its release, new controversies and rumors emerge. The latest buzz about Ae Dil Hai Mushkil was how the censor board deleted three intimate scenes from the flick. However, Dharma denied any such news, assuring that the film was passed without any cuts; this also suggests that none of Fawad Khan’s scenes have been removed either. According to the rumor kill, the steamy scenes between Ranbir & Aishwarya Rai were inappropriate and Mr. Bachchan had demanded them to be cut off. However, a reliable inside source recently stated: “There are no cuts being made to the film. No changes of any sort, as being reported. The film will release on October 28,” reports Indian Express. Rumors were also making rounds about Karan Johar swapping Fawad’s face with Saif Ali Khan’s through CGI, after the MNS threatened to halt ‘Ae Dil Hai Mushkil’s’ release post-Uri attacks! A source has confirmed, however, that “Fawad is not being replaced” in the movie. New threats were launched to Mahesh Bhatt and Karan Johar of how they’ll be beaten up if the ‘continue’ to work with Pakistani artists. Karan Johar was reprimanded by MNS to delete Fawad Khan’s scenes from the movie. Indian Motion Picture Producers Association had banned Pakistani artists in India post-Uri attacks. Ae Dil Hai Mushkil stars Ranbir Kapoor and Anushka Sharma in lead roles while Fawad Khan and Aishwarya Rai Bachchan in supporting roles. The movie is all set to release on October 28th and we just cannot wait for Fawad Khan to ooze with hotness on screen. The actor will play the role of a DJ and apparently Anushka Sharma’s lover. He is to give tough competition to Ranbir Kapoor. Who do you think will get the girl in the end. 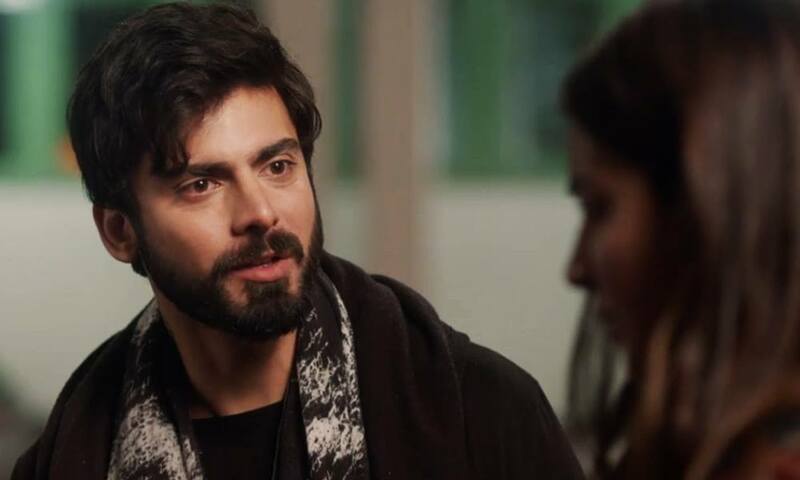 Ae Dil Hai Mushkil’s ‘The Breakup Song’ Reminds Us of Fawad Khan’s Breakup With Bollywood! Next articleMawra Hocane’s Sydney Vacation Pictures Will Give You Major Travel Goals!